The outline planning application for Sandleford is currently out for consultation. We are engaging with the Council and the developers in order to try to achieve the best outcome for Newbury and its residents both present and future. We will be updating our website as and when we can, and you can get in touch with us by email and on Facebook and Twitter. We held a successful public meeting on 19th January 2016. Thank you to everyone who attended. Papers from the meeting are uploaded on this site - please follow the links on the right. The official consultation period closed on 29 January 2016, and SNTS submitted a detailed objection, signed by 100 local residents (link on the right). But WBC will still consider representations up to the day before the decision is taken, so your views can stil lbe heard. A sample Objection Letter is uploaded (links on the right) - please personalise this letter to reflect your own objections before sending it in. Also uploaded is a list of bullet points indicating the sort of issues that you might wish to consider when composing your objection. Please do try to make your letter individual - the template is a useful guide, but if the Council receives dozens of identical letters the impact of the letters will be diminished. UPDATED - If not Sandleford, then where? You will need Adobe Acrobat Reader to read some of the documents. 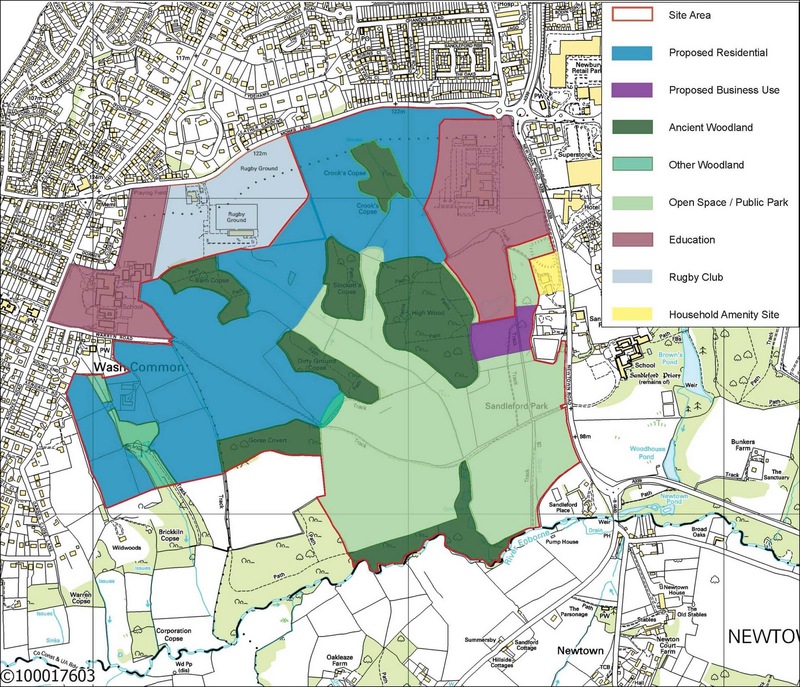 We are a politically non-aligned campaign group originally established to oppose West Berkshire Council's plans to build 2,000 houses on greenfield land at Sandleford Park. We have been unsuccessful in preventing the development from going ahead, so we are now focussing our efforts on ensuring the best possible outcome for Newbury and Newbury's residents both present and future.